Next a photo stop outside Westminster Abbey before we head for the Changing of the Guard at Buckingham Palace . Free time will be given for lunch and our guide will be happy to recommend places to eat. 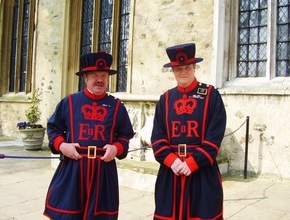 Arriving at the Tower of London built in 1066 by William the Conqueror, our guide will regale you with fascinating insights into the history of this Royal Palace and fortress. Ample time will be given to view the Crown Jewels and the White Tower and to wander around this imposing fortress. Finally we will take a guided private extended boat trip on the River Thames Enjoy excellent views of Tower Bridge, The Shard, St. Paul's Cathedral, Shakespeare's Globe and of the Houses of Parliament from the river whilst being entertained by our tour guide. 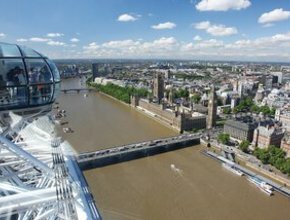 Standing at an amazing 135 metres above the centre of London, the London Eye is the world’s highest observation wheel and offers magnificent panoramic views. Tour will finish at London-eye. This tour will finish at the London Eye. 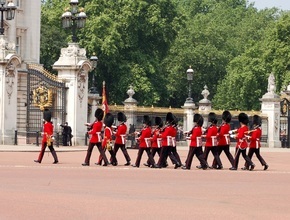 The Guard Change may not be operational in bad weather conditions. We will go to Buckingham Palace for a photo stop instead. On certain dates St Paul's Cathedral is closed thus we will be visiting Household Cavalry Museum instead.